Have you provided links to your original design files for your hardware on the product itself or its documentation? Have you made it easy to find your original design files from the website for a product? Have you clearly indicated which parts of a product are open-source (and which aren’t)? Have you applied an open source license to your hardware? Label your hardware with a version number or release date, so people can match the physical object with the corresponding version of its design files. Use the OSHWA certification mark logo on your hardware. Do so in a way that makes it clear which parts of the hardware the logo applies to (i.e. which parts are open-source). OSHWA-certified hardware must be distributed with an open source license. The terms of this license give downstream users the permission and information they need to make, use, remix, and build upon your work while abiding by your wishes. Unlike software, which is generally protected by copyright, hardware may be protected by a number of different rights - or no rights at all. That makes licensing hardware a bit more complicated than licensing software. OSHWA recommends licensing your hardware with the knowledge that the terms of the license may not apply to all future users. Copyright law offers protection for “original works of authorship” which are “fixed in a tangible medium.” This means that original and creative elements of your product may be protected by copyright law. Trademark law protects “source identifiers”, which may include any brand names, product names, logos, or even the design and packaging of your product (more on this later). Patent law protects functional inventions that are “novel” and “nonobvious”, when the inventor applies for protection from the US Patent & Trademark Office. Copyright: While certain hardware elements might be creative, the creativity is often constrained by functionality, which prevents most physical aspects of most hardware from being protected by copyright. 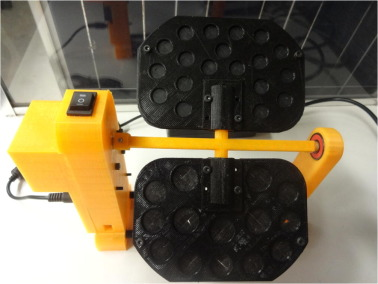 For example, the way in which parts of a 3D printer’s extruder work together is governed by functional concerns. That means that it cannot be protected by copyright law. Trademark: While trademark law may protect the names, logos, and other elements that signal who the producer of the product is, in most cases trademark law do not protect the physical object itself. Patent: The requirement that functional inventions be “novel” and “nonobvious” are high legal bars that few inventions meet. Additionally, patents are very expensive to obtain and the process is quite complicated, usually requiring help from specialized lawyers. You must take affirmative steps to obtain patent protection for your hardware. Regardless of how various types of protections apply to your specific hardware, your hardware license will enable downstream users to legally utilize your product. Its terms will also signal to users how you want them to use the hardware.However, since your hardware may not be fully protected by various rights, a hardware license may do little to prevent bad actors from simply recreating your hardware projects and using them for purposes you do not approve of. In general it is best think of hardware licenses as guides for good actors, not ways to punish bad actors. Purely functional elements of hardware are not generally protectable by copyright. Other types of protection such as trademark and patent usually require creators to take active steps in order to obtain. As a result, the hardware for many functional open source hardware products will not be protected by any kind of right at all. Protection will begin to attach to hardware as decorative and aesthetic elements are added. While this protection will not extend to the functionality of the hardware, in some cases this protection will effectively control reproduction of the entire physical product. This spectrum shows the range of protectability of various products. Hardware towards the left side tends to be mostly or exclusively functional. As you move across the spectrum, the hardware integrates an increasing number of non-functional, decorative elements. The Rotator and Mixer are almost purely functional and therefore are unlikely to be protected by copyright. The Chirimen board integrates some light non-functional designs, but is essentially functional as well. Moving further towards protectability, the neutotinker boards have a silkscreen design which is protectable by copyright even though the underlying board is not. The Axiom case’s design is heavily influenced by functional requirements. However, those requirements are adapted through a design filter that created something more than a simple case for electronics. The Mycroft takes this even further, arranging the case in a way that resembles a humanoid face. This arrangement is not purely dictated by functional demands. 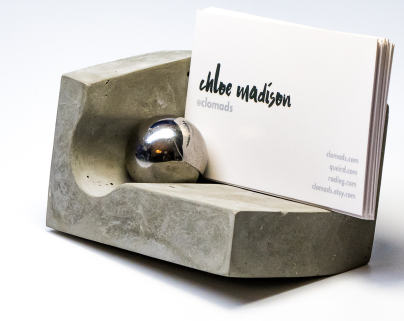 Finally, while it achieves a functional goal, the concrete business card holder’s design is almost completely driven by aesthetics. The physical design decisions for the Open Source Laboratory Sample Rotator and Mixer were driven almost exclusively by functional requirements. As a result, the hardware does not incorporate creative features that are unrelated to core functionality. This means that the hardware itself is not eligable for copyright protection. The Chirmen is made up of a number of complex technical elements. The requirements of those technical elements - not creative decisions by the team - define its physical appearance. As such, it is unlikely that the Chirmen’s physical hardware is protected by copyright. This lack of copyright protection for Chirmen’s hardware does not reduce the copyright protection that would apply to any software incorporated into the hardware. The Neurobite’s physical layout is almost entirely dictated by the functional requirments of the PCB. However, the team has incorporated an image of a neuron and centered it on the LED. This arguably gives it a low level of copoyright protection, so it is wise for the team to include a permissive copyright license for the hardware. The shape and featureds of the axiom case are mostly dictated by the functional necessity of housing the core elements, providing ventilation, and connecting accesories. Nonetheless, the team has made creative decisions around how to shape the ventilation, as well as the contrast piece and notch on the side. This creates at least the potential that the case itself may have some level of copyright protection. 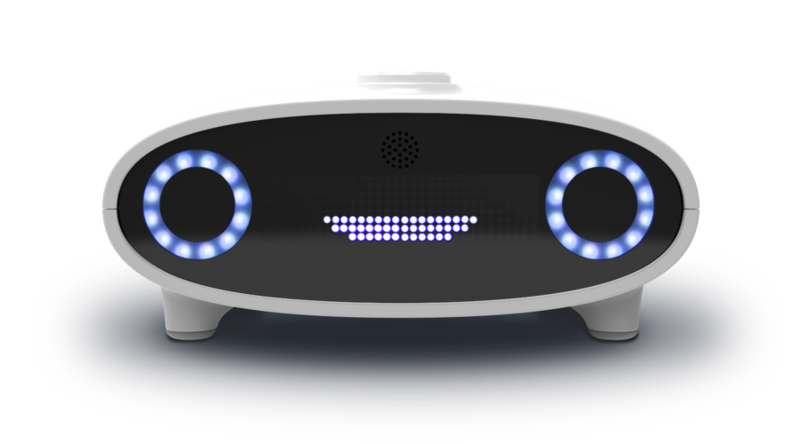 The Mycroft Mark 1 incorporates functional elements such as status lights into a whimsical and decorative case that evokes the face of a friendly robot assistant. This creative presentation of functional elements is eligable for copyright protection. The Voibox business card holder goes well beyond what is technically necessary to simply hold a business card on a desk. The creative and decorative sculptural elements make it easily protected by copyright. All OSHWA-certified hardware must use an open source license. Which license you choose to apply to your work is up to you, so be sure to read through the descriptions of each and follow their instructions for how best to apply the license to your work. The CERN open hardware license is designed to be a GPL for hardware. If modifications or additions are made to licensed elements, those modifications or additions must be made under the same license conditions. This makes CERN a ‘copyleft’ license that requires future modifiers of the hardware to make their modifications available on the same open terms of the original. 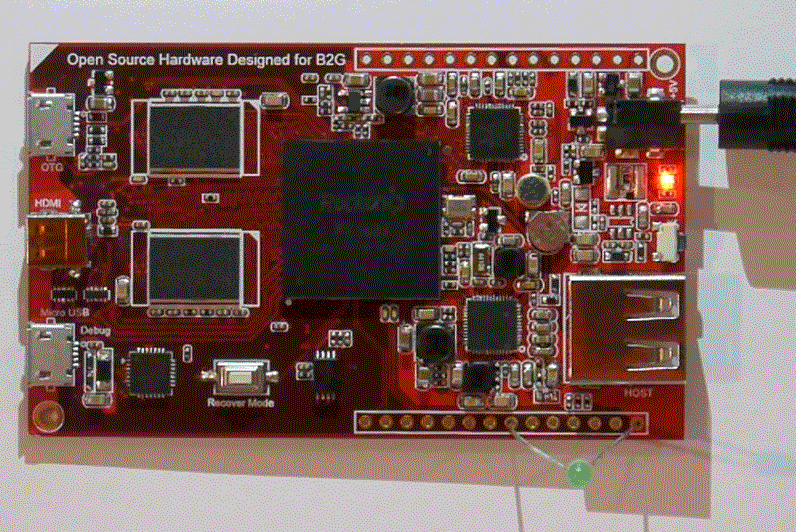 Other open hardware licenses may be acceptable under the OSHWA definition. We recommend TAPR, CERN, and Solderpad for the physical hardware elements because they are specifically designed with hardware in mind. The Solderpad license is a wrapper that modifies the Apache license to make it more appropriate in the hardware context. Soldepad makes the licensed elements available for anyone to use. It does not require that future modifiers make the modifications available on the same open terms of the original. Tucson Amateur Packet Radio (TAPR) developed the first hardware-specific open source license. The TAPR license can cover both the hardware’s documentation and the physical hardware itself. It requires any modified versions of the licensed elements to also be licensed under a TAPR license. 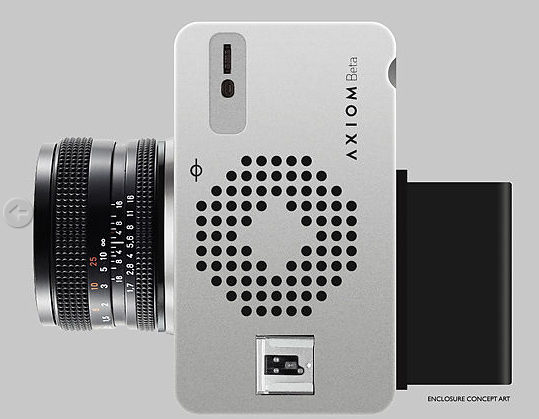 The AXIOM’s internal hardware is mostly functional and is therefore unlikely to be protected by copyright. However, the cases and other external elements incorporate a number of creative elements protectable by copyright. The CERN license will allow users to copy and modify the parts without fear of infringement. Mycroft chose to use the CERN license to cover its distinctive physical hardware. The appearance of the Mycroft incorporates creative elements that go beyond simple functionality, so it is likely protected by copyright. The license allows other people to copy the hardware without violating its copyright as long as they follow the CERN license terms. Although the form of the spectrometer is mostly functional, the graphical designs are protected by copyright. The CERN license establishes the terms by which others can copy and build upon the existing hardware without violating copyright. Hardware can be difficult to protect with intellectual property rights, so enforcement of open source rules can be challenging. Ensure that your trademark- and copyright-protection is strong. Consider making your product available as a DIY kit, which are very popular. Because of their value as teaching tools, DIY kits have become very popular as a method of creating markets for things such as consumer electronics. For example, consider the popularity of kits such as Sparkfun, and Arduino. The creation of DIY kits serves as useful entry point into the market for open source hardware products.